Jay Som announces new album "Everybody Works"
In only just over a year, Melina Duterte has re-released a well-recognised debut album (‘Turn Into’), penned a feel-good smoother ‘I Think You’re Alright’ and opened for Mitski and Japanese Breakfast on tour. 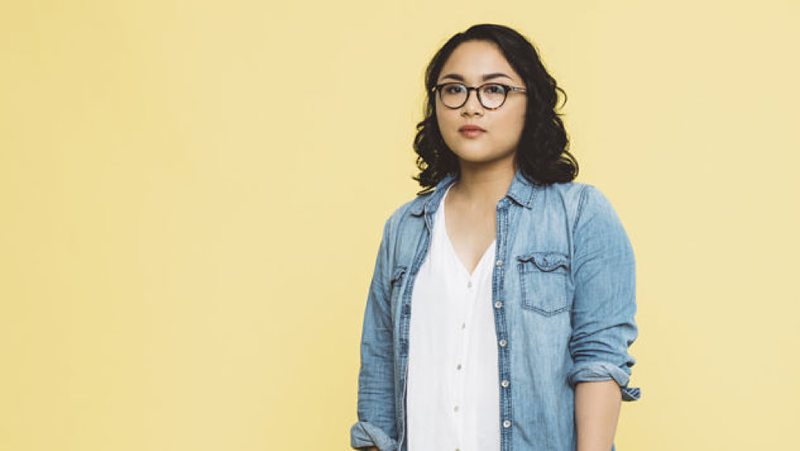 It’s hard to believe she began her story as Jay Som over Thanksgiving dinner, where she was persuaded to post her songs onto Bandcamp whether they were finished or unfinished. The self-producing Oakland musician now returns with her blend of breathless vocal melodies and jazz-infected buzz. Despite her association to the “Bay Scene”, Melina brings an independent, raw sound that oozes innocence and yet an aura of sophistication. This time she is preparing to release Jay Som’s official debut, ‘Everybody Works’, in March. It is claimed that the record was “made in a three-week flurry of writing and recording this past October,” but listening to debut single ‘The Bus Song’, you’d have no idea. ‘The Bus Song’ begins in routine fashion with a gentle strum and hushed whisper, but builds to grand importance with just the right amount of romance trickling off the end of every powerful peak. By retaining her punky sizzle, the new songs have that extra bit of fuzzed-out indie sensibility (similar to the likes of Frankie Cosmos) but transition trough to contextual shimmering pop and building piano chords. This is an artist who is not relaxed with their sound, but confident in it and confident enough to let simplicity do the talking. The energy and familiarity of her songs could build her a steady uprising – and I’m sure this could be a breakout year. ‘Everybody Works’ will be out on 10th March via Double Denim/Polyvinyl.